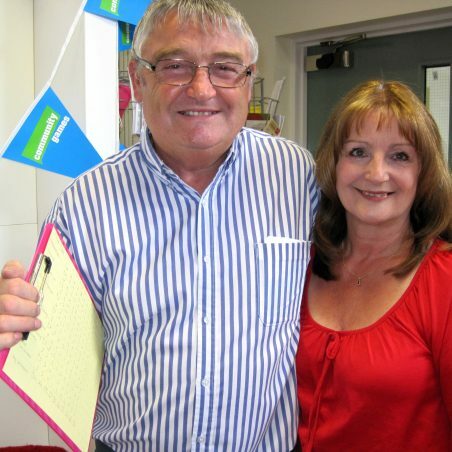 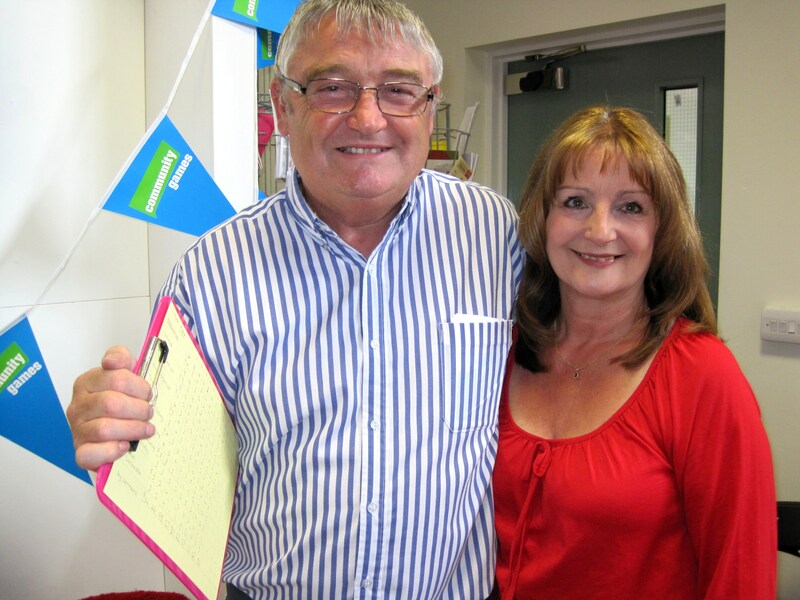 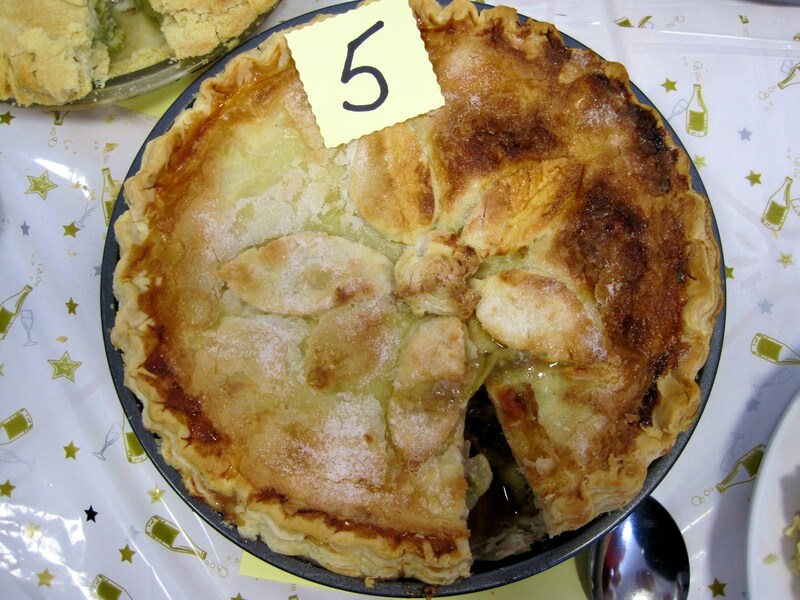 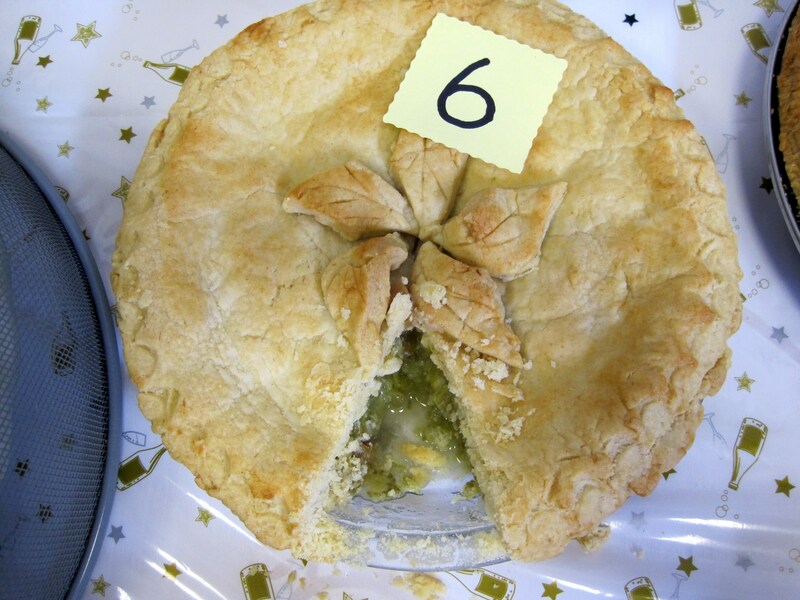 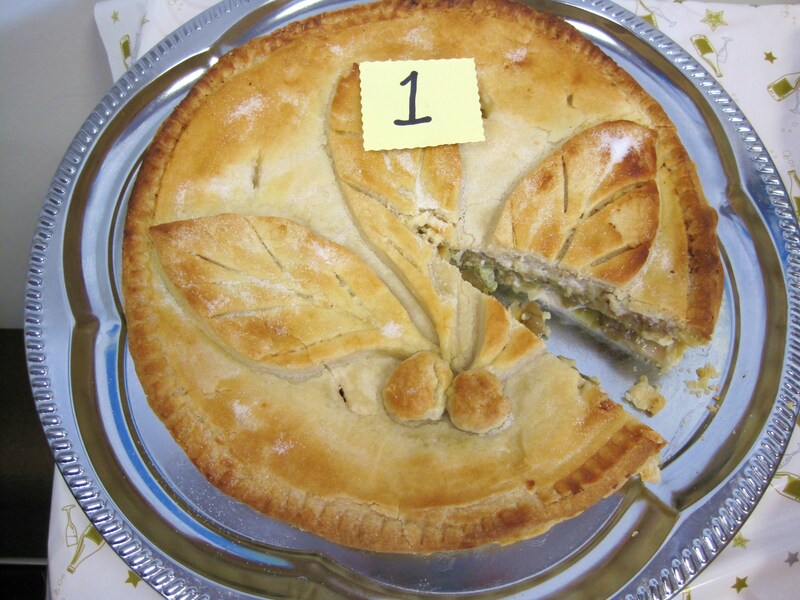 Our pie judges enjoyed tasting all the pies and were impressed by the standard of entries. 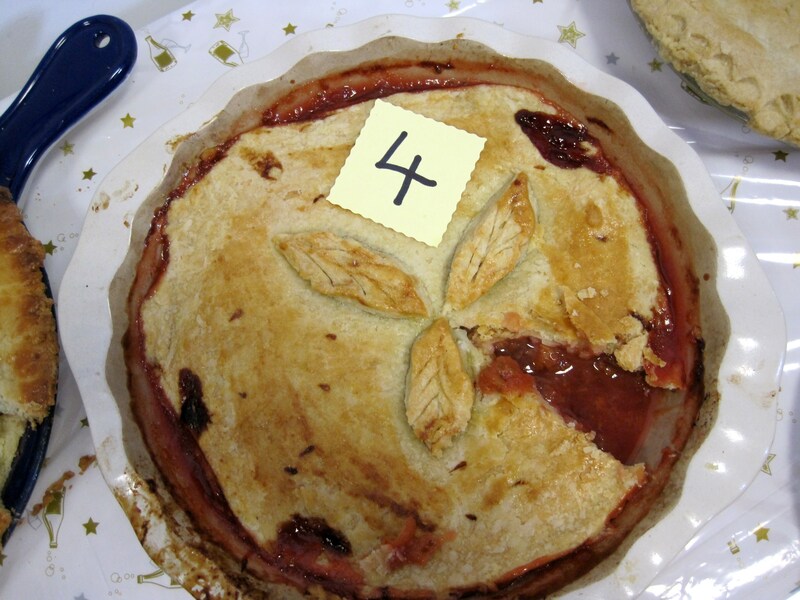 One of the entrants used red gooseberries which surprised our judges! 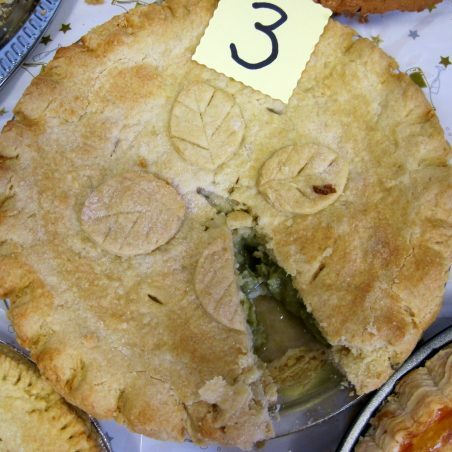 After judging, pies were either returned to the baker or gratefully demolished by willing volunteers! 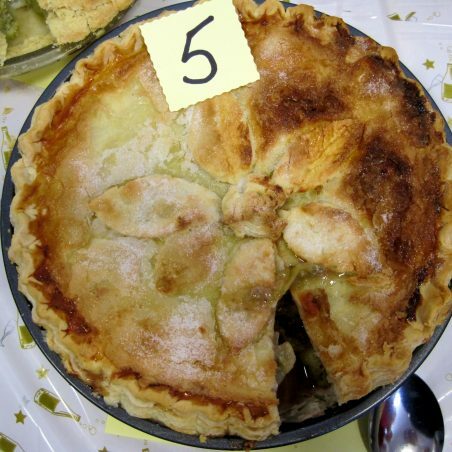 The main difficulty facing the cooks had been obtaining fresh gooseberries. 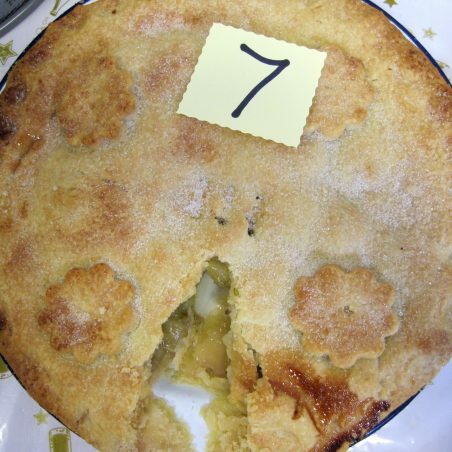 Some of the competitors had their own gooseberry bush or access to supplies nearby, others, I believe, searched local supermarkets and farm shops to secure the fruit needed. 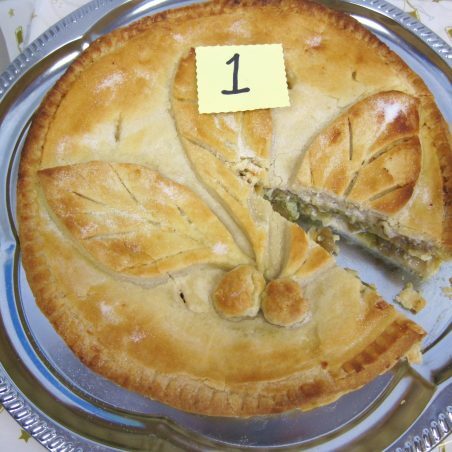 In the Victorian period, when “Hadleigh Fair” was an annual event, there must have been a plentiful supply of “cooking” gooseberries round about on Midsummer’s Day, otherwise, they would have chosen a different pie filling. 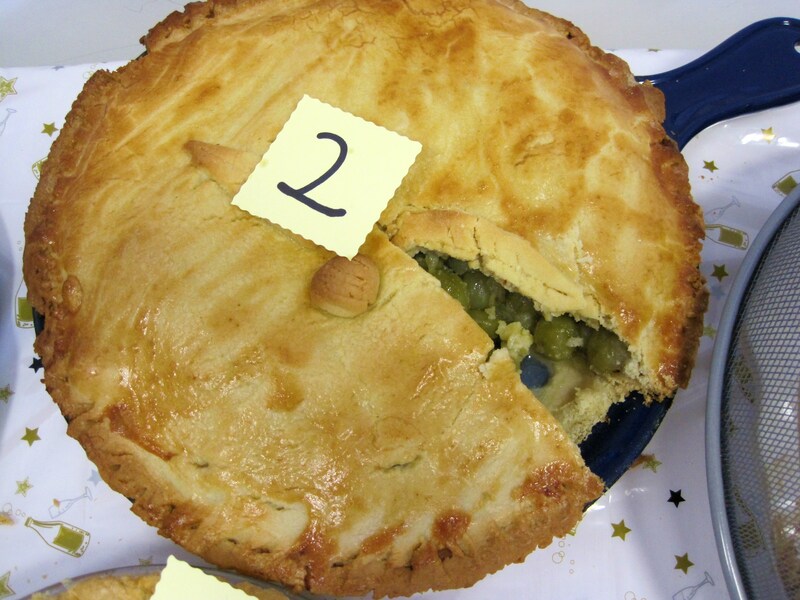 I wonder what those pie makers would have thought about their modern counterparts? 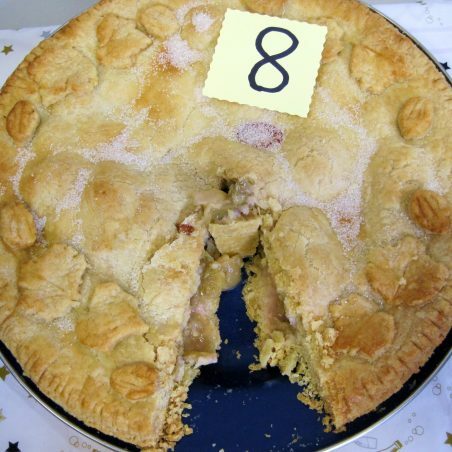 There was a real feeling of connection with the old fair as visitors dribbled the juicy filling and carefully collected the pastry crumbs in cupped hand. 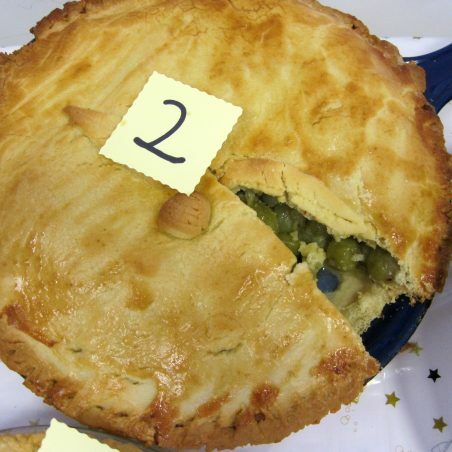 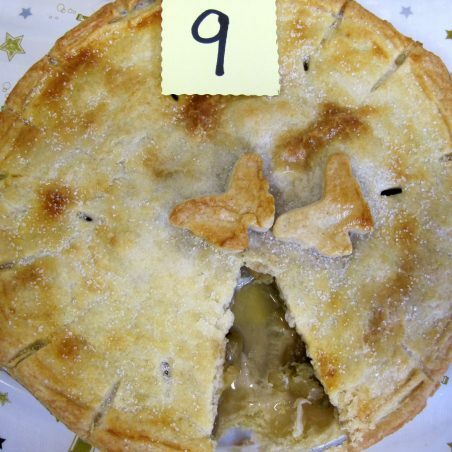 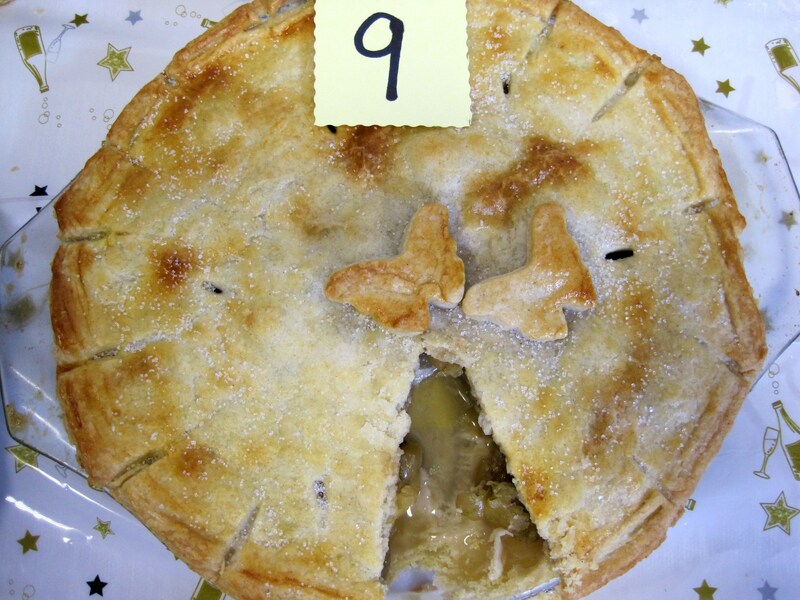 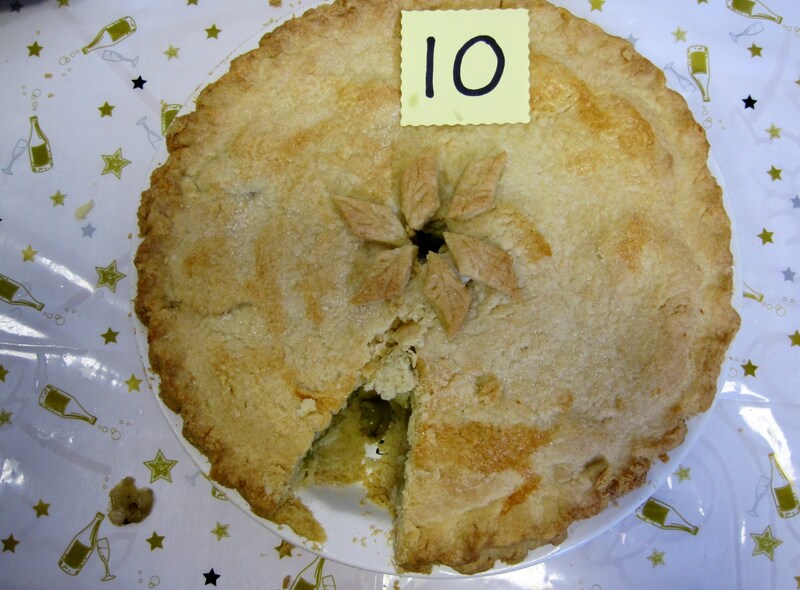 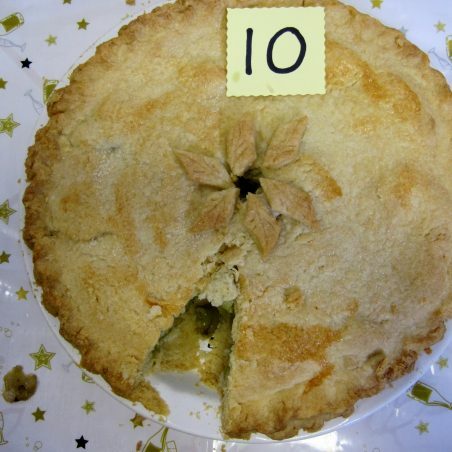 The eventual winner was Janet O’Neill representing St James-the-Less, Pie no.10! 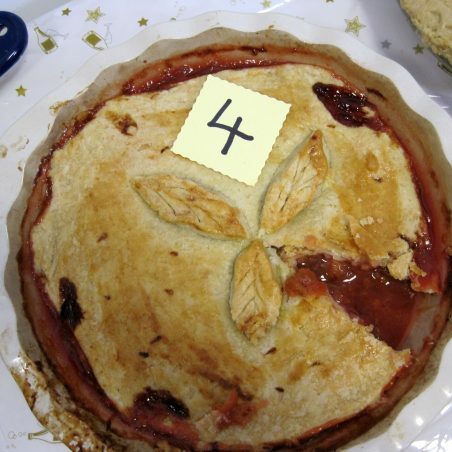 The Gooseberry Pie Challenge Cup has now been engraved with the name of the winning organization and will be presented imminently. 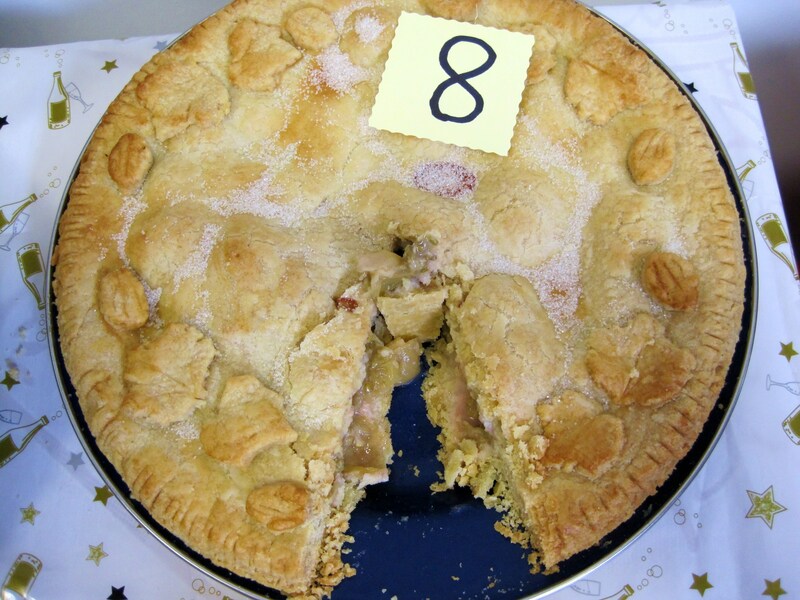 The judges also awarded a special prize to Vicky and Nichola, two trainees from the Salvation Army Training Centre, for their superb attempt. 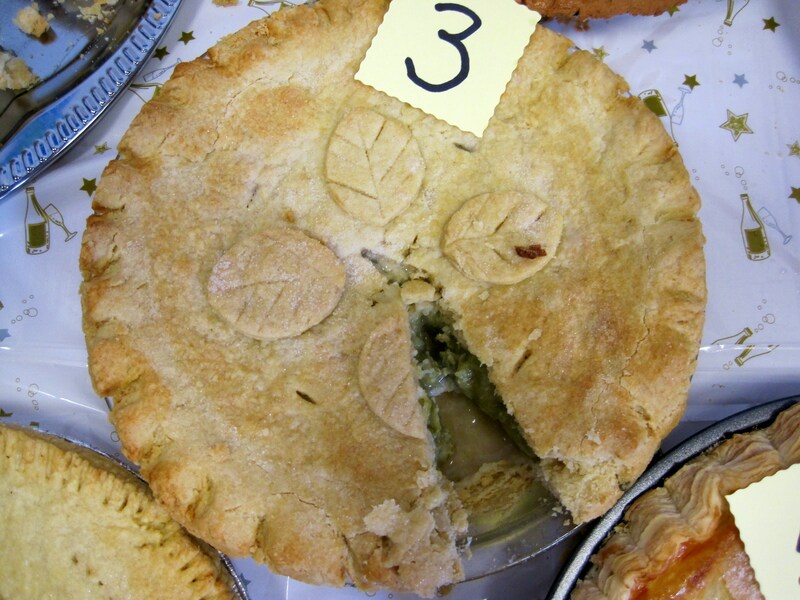 From the pie gallery above – which is your favourite? 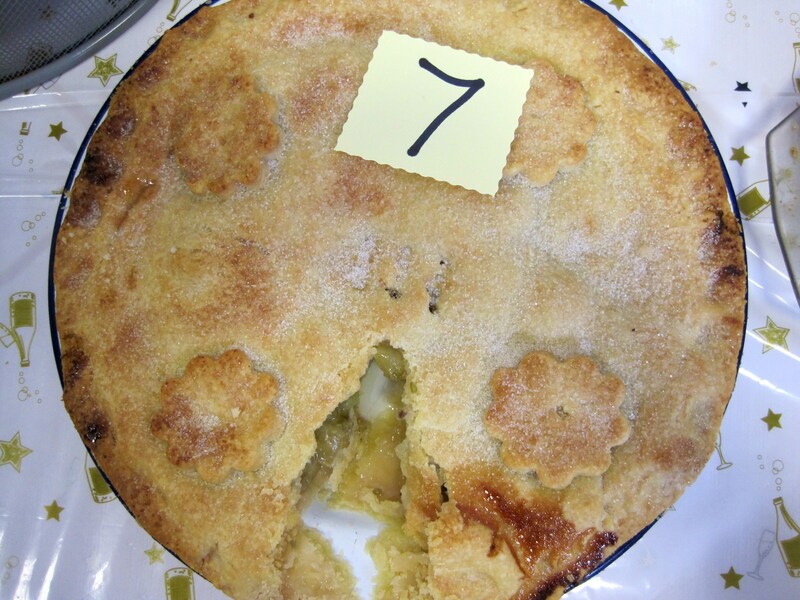 It was a tough job as the standard was so high and there were so many entries. 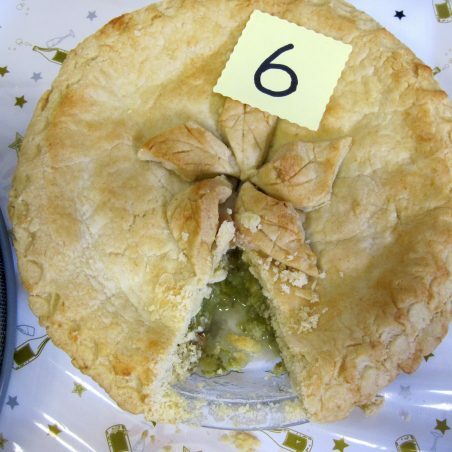 I’m not complaining so pleeeeeease can I be a judge again next year?